Top Driver Qualification FAQs . . . Yesterday, Kathy Close and Daren Hansen of J.J. Keller presented a webinar called, Top Driver Qualification FAQs The who, what, when, and where of DQ file management. Here are a few highlights . . . If someone drives a Commercial Motor Vehicle (CMV), then they need to be qualified. And if they need to be qualified — with few exceptions — the qualifications need to be documented in a DQ file. This could include . . .
“If they are Behind-The-Wheel (BTW), then they are a driver.” Kathy Close, Transportation Publishing editor. What has to be in the DQ File? JJ Keller can assist motor carriers in their DQ file needs in several ways. Most commonly, they sell millions of blank DQ files, for the do-it-yourselfers. JJ Keller also offers a Driver Qualification (DQ) File Management Service. Some may prefer to download various forms available on federal and state websites. I will caution you these forms may not always be current or the latest form version. Download at your own risk. What if something is missing in a DQ File or on a form? Suppose you downloaded a free form from somewhere but are missing a page or two? Now what? Kathy and Daren gave four golden rules of DQ File compliance . . .
Show a good-faith effort to comply. Goofs occasionally happen to the very best motor carriers. Forms are not filled out. Forms are incomplete. Follow-ups are not done. Mistakes are made . . . Okay, a paperwork mistake was made. Now what? One consideration is the amount of time that has elapsed since the error. But if it was recent, it should be corrected. Errors in DQ File recordkeeping should never be corrected by anything that could be considered fraudulent. Do not attempt to hide the error. Document what was discovered and what, if anything, was done to correct it. Then, the most important part, is to initiate a correction to your process and procedures so something like this does not happen again or is not likely to happen again. This might be in the form of a new checklist, a self-audit review or some other form of administrative control that works best in your particular operation. • Keep the file organized. Things have a way of creeping into the DQ file. In some respects it’s a lot like a personnel file. But it is not a personnel file, HR file, employment file or what-have-you file. The DQ file should not serve as a collection point for such things as payroll garnishments, court documents, accident reports, and the like. Only keep the information that is required to be in the file, nothing more and nothing less. Any optional records in the DQ Files can and will be audited for violations if presented to auditors. • Keep the file secure, if . . . If the DQ File is keep together with secure information as Drug and Alcohol testing results or background investigation results, then the file must be kept secure (under lock and key, with authorized access only). Tip: Federal Motor Carrier Safety Regulations list minimum retention periods. Kathy and Daren covered much more in their presentation, including a question and answer segment at the end. I appreciate their help in keeping folks informed of the many regulatory nuances and thank JJ Keller & Associates Inc for sponsoring the webinar. A simple definition of driving is the control and operation of a motor vehicle. 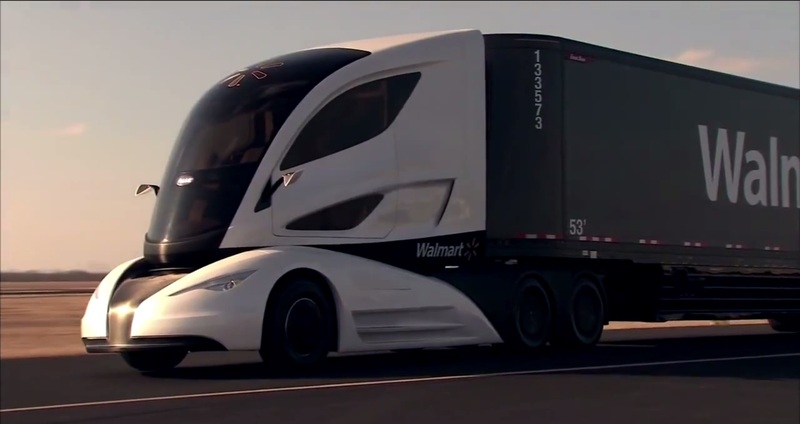 But a truck driver road test goes beyond mere driving or it would end in the parking lot. A good road test should assess the driver on their defensive driving skills. Defensive driving is really about having a positive attitude toward driving. The road test needs to be standardized— meaning everyone takes the same test under the same conditions and are tested in the same way. It should not matter which examiner conducts the road test. Driver becomes involved in an collision during the test. Failure to check for trains at rail crossings. A good road test could result in a fair percentage of failures. But this is what insurance companies mean when they say motor carriers need to invest in safety. A good road test is a solid investment. Top companies willingly make that investment. This is one of the most important things that the safety-elite companies do that makes them elite. Too many organizations do not road test their drivers. Don’t be one of them. The stakes are too high. If you have interstate drivers of vehicles between 10,001 pounds and 20,001 pounds GVWR, then all drivers must be road tested per federal regulations. If your organization does not have adequate resources to conduct a road test, then an acceptable option is to have a third-party conduct the road test for you. Perhaps you have a local truck driving school nearby, or can “borrow” the safety manager from a local company to run the test. More and more doctors are ordering road tests before releasing injured drivers back to work. They see the benefits of another opinion. One company I consulted with has a retired driver who does road test check rides with each of their drivers, at least once a year. He then points out to them various areas in which they can become aware of bad habits and improve their driving. This is an example of investing in pro-active safety. If you need help in setting up road-testing for your drivers, one person to check out is your insurance agent or broker. Many times they may have resources available or can tap into their carrier’s loss control section for additional resources or advice, at no cost to you. 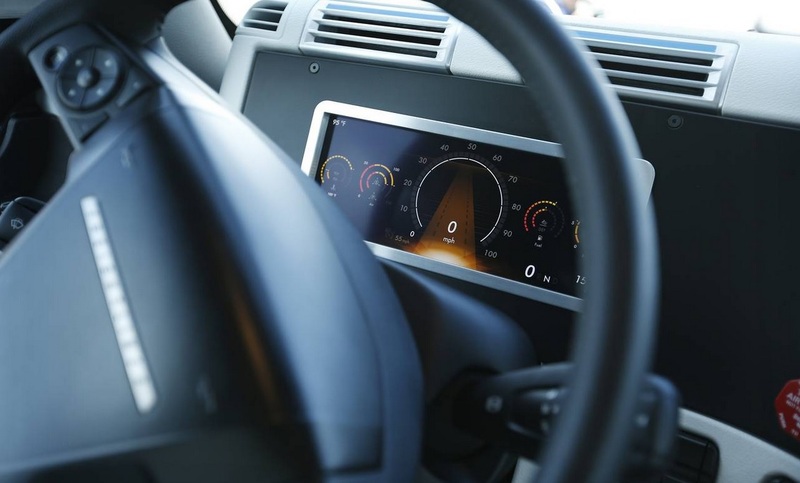 Investing in safety with a solid road testing program can not only result in a safer organization and lower insurance premiums, but higher productivity and other intangible benefits. This ends the four part series on the DOT Road Test. More . . . Part 1, Part 2, Part 3. Driver safety performance is as important as vehicle performance. A driver performance test can help determine safe driver performance. The road test should start with a pre-trip inspection. A pre-trip inspection is required under §391.31(c)(1). The driver-applicant should explain what he or she is observing and what specific vehicle or component checks (s)he is conducting. The applicant should explain what defects/faults he or she is looking for during the pre-trip. This portion of the test may take up to 30 to 45 minutes or longer, depending on the type and configuration of the vehicle. Before the road portion, the applicant should demonstrate the following skills: steering, stopping, shifting and backing (straight and 90 degree angle) and, if the equipment he/she will drive includes a combination unit – coupling and uncoupling of the combo-unit (per §391.31(c)(2)). Allow at least 20 minutes for a “range” portion. (1) Forward Stop: Pull the vehicle forward through a straight alley and then stop the vehicle so that the front bumper is within 2 feet of the forward stop line. (2) Straight Line Backing. Back the vehicle through a straight alley and then stop the vehicle so that the front bumper is within 2 feet of the stop line. (3) Right Turn. Drive the vehicle forward approximately 30–50 feet, and then turn the vehicle right around a cone or other point. Bring the rear of the vehicle within 6–12 inches from the cone without touching it. (4) Alley Dock. Pull the vehicle forward past the alley, keeping the alley entrance on the left. Back in a 45 degree curve into the alley without touching the sides, and stop the rear of the vehicle within 2 feet of the stop line at the rear of the alley. The Range is usually scored on a point system, with points given or taken away for hitting cones, crossing lines, or falling short of where the vehicle needs to be. Why Do a Range Test? The answer is safety. A range can show if the driver has basic control of the vehicle. A range helps the driver to become familiar with the vehicle, if the vehicle and/or its controls are new to the driver. If a driver does really badly on the range, then for reason of safety, the test needs to end. The driver’s proficiency in the parking lot (range) should be adequate enough to determine that the applicant will drive safely during the on-road portion of the test. The road portion should be on a predetermined route of in-traffic driving. Tip: Have at least two routes available so that the alternate route is available if construction or traffic prevents using the original route. Four left-hand and four right-hand turns: turns at traffic lights, stop signs, and uncontrolled intersections. 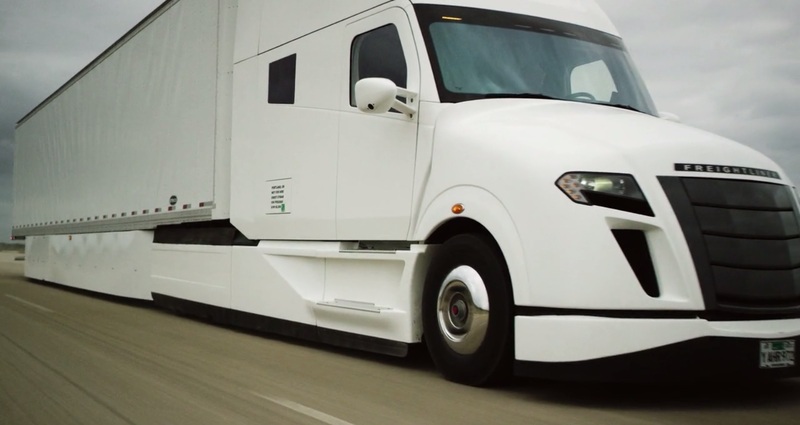 The turns should range from easy to somewhat difficult for a heavy vehicle. Try to include a mixture of types of intersections so that they vary in complexity. A straight section of urban business streets. The section should be 1 to 2 miles long. It should contain through intersections, and intersections with traffic lights, and have moderate traffic density. Try to get a section where the driver can make lane changes somewhere along the route. Two through intersections, and two intersections where a stop has to be made. If possible, these intersections should be included in the urban section. Two railway crossings. Try to get at least one uncontrolled crossing. The crossing should have enough sight distance to determine if the driver makes head search movements when approaching each crossing. The driver’s attempt to look left and right down the track will often be the only way to tell if the driver noticed the crossing. If the test area does not have any railway crossings, you may simulate this exercise. Two curves, one to the left and one to the right. Try to get curves tight enough to produce noticeable offtracking on a tractor-trailer. A two-lane rural or semi-rural road. This section should be about 2 miles long. If there is no rural road near the motor pool, an industrial street with few entrances and a higher speed limit is a good substitute. An undeveloped suburban road is also a good substitute. In general, use any road that has characteristics similar to a rural road. A section of expressway. The section should start with a conventional ramp entrance and end with a conventional ramp exit. The section should be long enough for a heavy vehicle to make two lane changes during the section. A section of highway can be used if there is no expressway available. A downgrade. The grade should be steep enough and long enough to require gearing down and braking. A steep short hill is the next best choice if a long grade cannot be found. If the area does not have any steep grades, simulate this exercise. An upgrade. The grade should be steep enough and long enough to require gear changing to maintain speed. A steep short hill is the next best choice if a long grade cannot be found. Use the same grade for both the downgrade and the upgrade if it is hard to find steep grades in the area. A downgrade for stopping. This is a grade where a vehicle can safely stop (or pull off) and park for a minute or so. The grade only needs to be steep enough to cause a vehicle to roll if the driver does not park properly. If the area does not have any steep grades, simulate this exercise. An upgrade for stopping. This is another grade where a vehicle can safely stop and park for a minute or so. If necessary, use the same grade as for the downgrade stop. One underpass or low clearance, and one bridge. The underpass should have a posted clearance height. The bridge should have a posted weight limit. If there are no underpasses or bridges with posted limits, use ones that do not have posted limits. If necessary, substitute a bridge for an underpass, or an underpass for a bridge. If there are no low clearances or bridges, look for places that have signs a heavy vehicle driver should see. 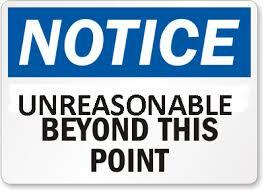 Examples of such signs are: “No Commercial Vehicles after 11:00 PM,” or “Bridge with 10 Ton Weight Limit in 5 Miles.” b. When designing a route, try to get all of the specified maneuvers into the route. If there is no ideal example for a maneuver, find the closest substitute. There is no minimum length for a route and no minimum amount of time that a route must take. A route is acceptable whenever it has all the specified maneuvers. Be prepared to give the driver positive feedback followed by any areas that need to be improved. If the driver is hired, make note of any weak spots for later refresher training. A signed copy (by both examiner and applicant) of the road test and certificate of completion must be kept in the Qualification File. A Certificate of Road Test Completion should also be given to the applicant. *Source: AR 600–55, which was modeled from current U.S. transportation practices. One key requirement and responsibility of an employer is for their CMV driver to pass a driver’s road test or equivalent. 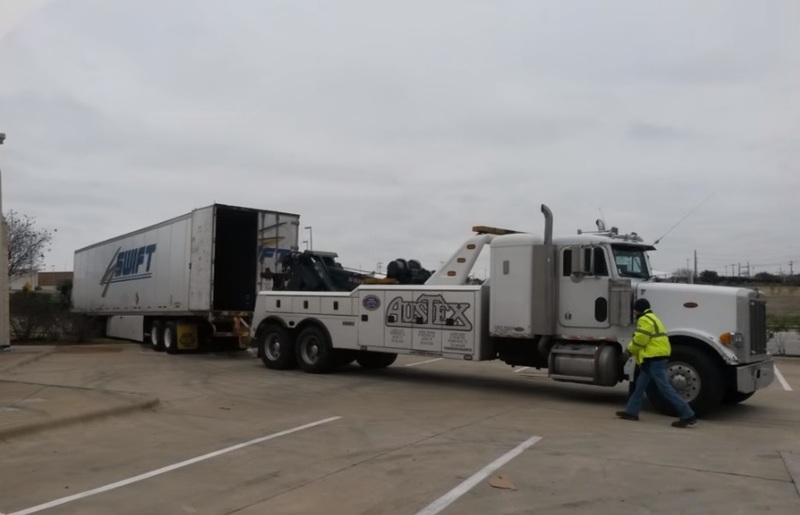 While the regulations permit a Commercial Drivers License (CDL) holder not to be road tested, there are a number of reasons this step should never be skipped. The driver may lack experience in the type of vehicle driven. For example, a driver may have used his Class A CDL to drive a hot-shot combination and has little or no experience in driving a tractor-trailer. The driver may simply have no driving experience. For example, some foreign nationals may have had a drive’s license in their country, but have had little actual lifetime driving experience. The driver’s skills may be stale, Perhaps he or she was unemployed or on workman’s comp and has not driven for a long while. For larger trucks, not driving more than six months can be a long time, and a driver could need a refresher course to get back into commercial driving. The driver may have injured himself since his last DOT physical and is not physically able to drive. The list goes on. I can cite example after example of drivers who should have never been allowed to drive, but were able to fall through cracks in the system: drivers with missing limbs, color blindness, hard of hearing, suffering from psychosis, etc. It is always a best business practice to road test every new hire using a standardized checklist or rating form. Most insurance companies expect you are doing this, as well. Studies Show . . .
Cutting-edge procedures as a driving simulator with an experienced safety professional monitoring the driver’s performance. A standardized, 3-hour driving road and range test, that can result in up to a 50% failure rate. Driver observations by no less than three managers, who each take notes and write up their observations, concerns, and conclusions. Inform driver candidates as much as possible about their driver requirements and any specific hiring procedures. Maintain a detailed assessment file for each driver. Requiring a probationary period for new hires. Establish written hiring standards, that include standardized road testing. Who you decide to bring on board to operate one of your vehicles is one of the most important business decisions you ever will make. In the age of everyone-gets-a-gold-star (or two, for bothering to show up), does the word test have a place anymore? 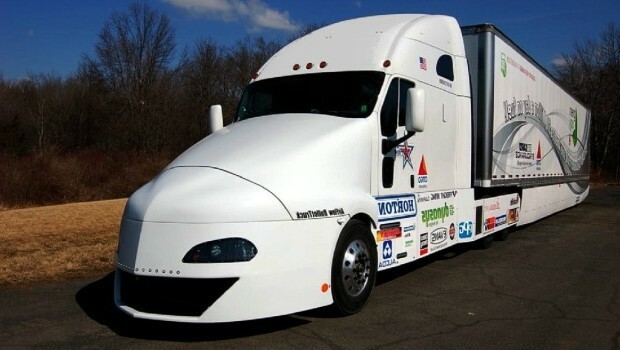 Best in class employers conduct a driver performance test for every Commercial Motor Vehicle (CMV) driver they hire. But it doesn’t end there. Top employers not only road test new driver candidates but conduct driver check rides from time to time or whenever drivers are having safety performance issues. Top companies road-test their drivers every year or so for coaching purposes – or as part of their post-accident policy. The purpose of the road test is to evaluate the driver’s ability to drive safely. Safe operations are determined by a driver’s attitude as much as by his or her mechanical driving skills. Who should conduct the Road Test? Any competent driver who is qualified with experience in the type of vehicle being driven may conduct a road test. The examiner needs to be a thoroughly qualified operator. Generally this would be your most senior driver. Sometimes trucking companies use their mechanic to conduct road tests. If so, the mechanic should have some actual driving experience. The test shall be given by a person who is competent to evaluate and determine whether the person who takes the test has demonstrated that he/she is capable of operating the commercial motor vehicle, and associated equipment, that the motor carrier intends to assign him/her. This section says you cannot test yourself. Tip 1: For non-CDL type vehicles, owners and managers can be given a road test by an employee-driver. Tip 2: The same person should administer all road tests in the same way, on the same route. Tip 3: The road test may be conducted before administering the DOT pre-employment drug screen.After receiving results of the drug test and after a job-offer, the DOT physical can be administered. The examiner needs to be familiar with the road test route and the testing procedures. The examiner needs to practice administering the test to a regular licensed driver qualified on that type vehicle. What Should the Road Test Cover? Any well-administered road test should cover the driver’s/applicant’s technical and physical skills associated with driving a commercial vehicle as well as the driver’s/applicant’s attitude while driving. Placing the CMV in operation. Use of the CMV’s controls and emergency equipment. Operating the CMV in traffic and while passing other motor vehicles. Backing and parking the commercial motor vehicle. These are the minimum areas on which a driver is to be tested. Continued in the next blog . . . It was a violent crash. Anytime a vehicle is caught between two trucks it never turns out good. 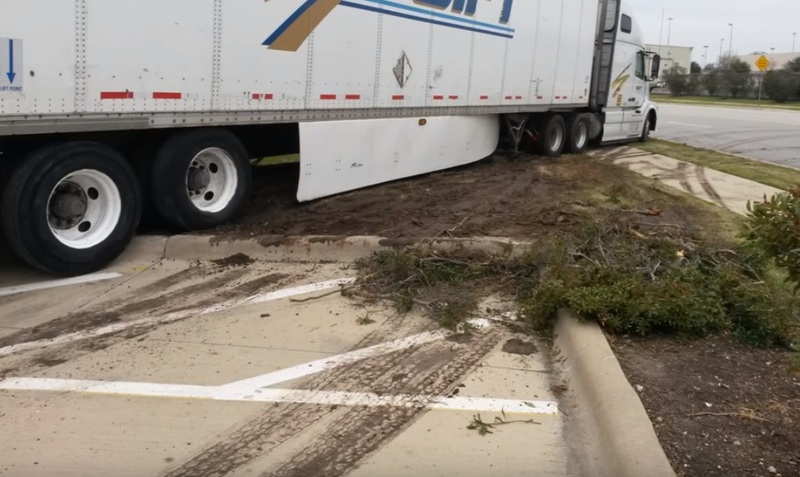 The CDL driver said he does not know what happened. The driver was convicted of driving without a license, and allegedly has two drug charges pending against him. 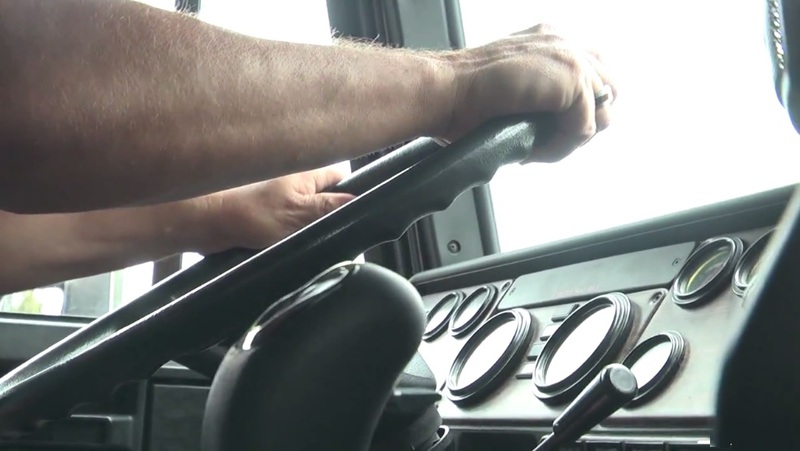 An investigation by WRAL found the CDL driver had eight driving-related violations since 2008, but seven were dismissed. 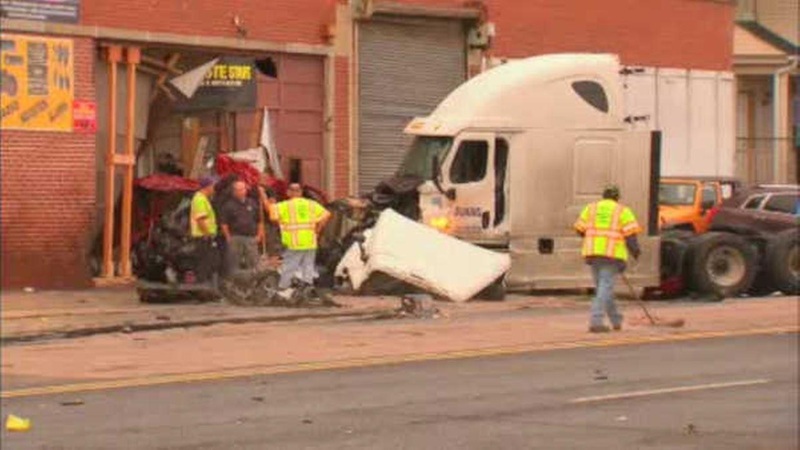 The owner of the truck said the driver was his cousin, had a CDL and passed an insurance background check. He expressed shock at his cousin’s bad driving record. Many times in the course of a loss control inspection, I will ask small fleet owners if they have driver hiring standards. They say they sure do. 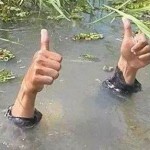 When pressed for details, however, they admit their standards are not in writing, they are not sure of the exact details and, in any case, they rely on their insurance company for the yea or nay before hiring. When driver turnover is low, this might not be that unusual. It seems like a hassle to put down some of your expectations for a new driver, especially when you have never had any problems before. Besides, who doesn’t have enough paperwork to do as it is? This type of — lets say — complacent attitude is being noted today by insurance companies. When you don’t know what you are looking for in a driver, how will you know that you have hired the right one? And should your insurance company act as your de facto HR screener? They are going to reject obviously risky drivers, but as the above situation shows, when driving violations are dismissed, occasionally bad drivers are hired. Put It in Writing . . . The minimum age for a driver: usually 23-25, but younger may be acceptable. The minimum past driving time or experience: 1 to 3 years. While this is not a DOT requirement (the driver must be qualified by reason of experience or training), more experience gives a candidate a better track record. Minimum education: high school diploma or GED. Note research has found that smarter drivers have the most longevity on the job. Always hire smart. Training standards. Has the driver attended a professional school appropriate for the class of license and vehicle they will be driving? Has the driven taken (or will the driver be given) any defensive driving training? Motor Vehicle Record (MVR): no more than 1 moving violation in 2 years or no more than 2 violations in 5 years. Some organizations use a flexible standard, looking for a pattern and seriousness of the violation. Others use the insurance company point system: such as a maximum of 4 points in 3 years. Serious moving violation include: Speed at or in excess if 15MPH; Running Red Light/Stop Sign or other traffic control device; Following Too Closely; Erratic/Unsafe Lane Change; Unsafe Driving. Other serious offenses include: Fleeing a police officer; Racing on a public highway; Careless or reckless driving; Leaving the scene of an accident; DUI/DWI listed on MVR. Collisions: The average driver has one collision about every five years. If a driver has had several at-fault accidents in the most recent three-year period, the odds are that the driver will have more. It is recommended by some safety experts that a maximum of one at-fault accident ever be accepted. Tip: Accidents/collisions appearing on the MVR can be supported with a copy of a police report or other official documents before hiring. Disqualifying factors: violent crime, felony, DUI (7 – 10 years back maximum), some go back over the driver’s lifetime. Work History: This may vary by sector, but a candidate with a history of frequent job changes may continue the pattern. Be innovative in selecting the driver hiring standards that make sense for you. The efforts you put into it are well worth it to your organization. Truck drivers who ignore their sleep apnea treatment have a five times higher preventable crash rate than drivers without apnea, says a new study in Sleep journal. A 2002 study found that up to 28.1% of heavy truck drivers have mild, moderate or severe sleep apnea, according to the the Federal Motor Carrier Safety Administration (FMCSA). the most common of several types of sleep disorders, in which breathing repeatedly stops and starts during sleep. This new study is called “Non-Adherence with Employer-Mandated Sleep Apnea Treatment and Increased Risk of Serious Truck Crashes,” Sleep, March 21, 2016. Lead author is Stephen V. Burks, Professor of Economics and Management at the University of Minnesota, Morris (UMM). In this study 1613 drivers at Schneider National, who were diagnosed with sleep apnea, were prescribed positive airway pressure (PAP) therapy and provided with a self-adjusting CPAP machine. Results of the study were compared to a control group of the same number of drivers. “We found that truck drivers with untreated obstructive sleep apnea are at dramatically greater risk of serious, preventable truck crashes, consistent with the greatly increased risk of motor vehicle crashes among automobile drivers with untreated obstructive sleep apnea,” said study co-author Charles A. Czeisler, PhD, MD, FRCP, chief of the Division of Sleep and Circadian Disorders at Brigham and Women’s Hospital, and Baldino Professor of Sleep Medicine at Harvard Medical School in Boston. Drivers with sleep apnea who did not follow therapy eventually were terminated after given the another chance and choice to stick to the treatment. Sleep apnea is a treatable sleep disorder. “An apnea is defined as complete or near cessation of airflow for a minimum of 10 sec with or without associated oxygen destaturation and sleep fragmentation.” Principles and Practice of Sleep Medicine 5th ed. OSA, if untreated, can lead to daytime sleepiness and increases fall-asleep-crash risk. Over 10% of truck drivers have moderate to severe OSA. This high prevalence of OSA in truck drivers is unsurprising, as they tend to be middle-aged, male, and obese, according to a paper cited by the NCBI. OSA remains largely undiagnosed in commercial truck drivers. Polysomnography (PSG) aka sleep study or Sleep Lab (technologist attended), is only accurate test, know as the gold standard, as the Portable monitoring study while a less costly alternative method is not as accurate. Several people I have spoken who were prescribed CPAP machines don’t use them because they don’t like the mask. Some don’t the feel of the mask or don’t like getting wrapped up in the hose at night. Older machines tended to be loud at night. Truck driver Christopher Hill says it’s no big deal. Another problem is cost. Sleep studies can run into thousands of dollars and are generally an out-of-pocket expense as sleep studies are not covered by health insurance. The CPAP machine runs into hundreds of dollars and the mask and head-straps have to be replaced several times a year. As these items are federally regulated medical devices, nothing is ever cheap. In January 2015, the Federal Motor Carrier Safety Administration (FMCSA) issued a Bulletin on the physical qualification requirements for drivers with obstructive sleep apnea (OSA). 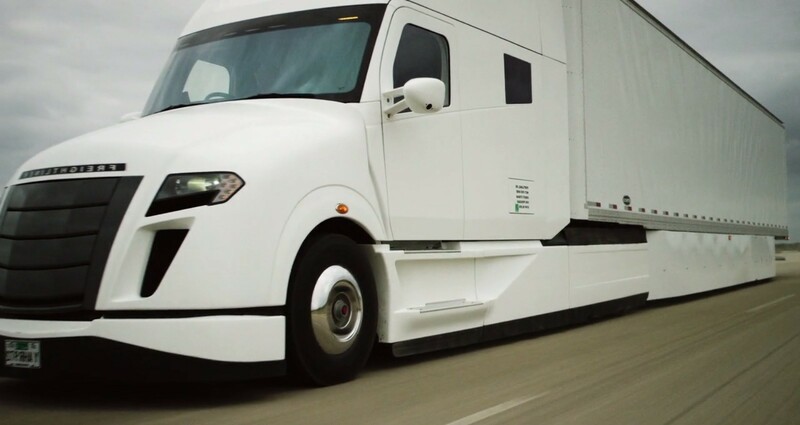 The American Trucking Association stated this was in error as it contained no specific guidelines and violated the spirit of PL 113-45 which requires an objective cost-benefits analysis. On Tuesday, March 8th, 2016 the FMCSA opened a ninety day period for public comments on sleep apnea. While we can expect FMCSA rulemaking in the future, the controversy about truck drivers and sleep apnea will probably not end there. Is there a problem with truck drivers with sleep apnea? If so, who should make that determination? 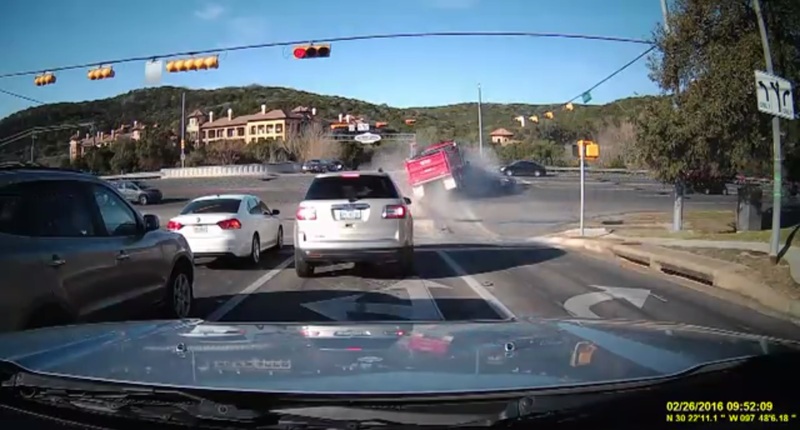 Both the driver of runaway truck that careened through a busy Austin, TX intersection and his company are being sued by the family of a 19 year-old woman who was T-boned in the crash according to KXAN. The lawsuit alleges that not only was the driver negligent in his control and operation of the vehicle, but his employer was negligent for hiring a driver with a criminal record who had several convictions for ranging from DUI, driving without a valid license to battery. “Bottom line is that truck should not have been on the road and that driver should not have been driving that vehicle.” Justin McMinn, Esq. KXAN was not able to reach the parties named in the lawsuit. When Do Background Checks Matter? Anyone who employs a commercial motor vehicle (CMV) driver must “qualify” that driver under Parts 383 and 391 of the FMCSRs and that includes a background investigation (Safety Performance History), a Road Test conducted by your organization, or a Photocopy of a CDL in lieu of road test, a Medical examiner’s certificate or proof of current medical certification as shown on the MVR. This is the minimum a driver employer needs to do. There is also an implicit obligation to to develop one’s own internal hiring standards. In some cases that means not hiring someone with a bad driving record. In other cases, if your organization often goes to Canada, it means not hiring someone with a criminal or perhaps even an arrest record. In any case, it means carefully screening and vetting and qualifying any potential drivers. Every organization should have a written driver hiring standard or hiring criteria. Sometimes driver hiring is done infrequently (once a year or less often) or done rarely, so it doesn’t seem like that big of a deal. I find smaller organizations tend to even skip this step and rely on their insurance company and their rule book to vet their drivers. This may not always be a good idea for a number of reasons. Your risk-partner may error on the side of caution and you may lose a driver who might work for you. This can happen when an insurance company may have set a minimum driving age of X years (21, 23, 25, etc.) and the driver in question is near (less than a year or so from) that age. Then it might be a good idea to talk with the underwriter and present your case why this driver is acceptable to you. You may find that in the case of an individual driver, age might not be that big of a deal. You will never know unless you ask . . . In addition to written hiring standards, potential employers need to talk to the prior employers. As Mike Coffey, a background specialist, of Imperative Information Group recommends, ask the prior employer, among other questions, if they would rehire the driver in question. Again, you will never know unless you ask . . . In the final analysis, trying to sort out all of these things in a legal venue is not the best way to find out what could have been done differently. Be proactive. By following a few of these proven pointers you can avoid hiring drivers who keep having bad luck. Mike is the president of Imperative Information Group and conducts professional background checks on CDL and CMV drivers for small to medium sized businesses and motor carriers. Your name is on the side of the truck. Any wild or crazy driving reflects badly on you and the other folks you work with and work for. A bad hire can destroy a business. A bad hire can take down a lot of people with him. Lawsuits, fines, higher insurance are a few of the consequences of a bad hire. Parts 390 and 391 — apply to non-CDL drivers (everyone). Know what a Safety-sensitive function is under Part 382.107. Say a CDL driver fails a DOT drug test and you forbid him from driving. The fact is, until the driver is cleared by a Substance Abuse Professional (SAP), he has no business being around trucks, performing Safety-sensitive functions. Even trucks between 10,001 GVWR and 26,001 GVWR. The app must be furnished by the motor carrier. The app must be completed by the applicant/ driver. The app must be signed by the driver. Part 391.21 has a number of driver application requirements that must be followed. Top Tip: All regulated drivers (even non-CDL) must list all of their previous regulated employers. Top Tip: CDL drivers should provide a complete employment history for the last 10 years, explaining any periods of unemployment. Part 391.23(a.) Investigation and inquiries. Top Tip: First start with a CDLIS check — then get MVRs from respective, required states. Commercial Driver’s License Information System (CDLIS) is a nationwide computer system that shows every license your driver has held in the past three years. From there, ordering required Motor Vehicle Records (MVRs) is easy. Is the drive eligible for rehire? Has the driver ever acted in a threatening or coercive manner? Has the driver ever acted in an unsafe manner? Top Tip: Get specific written consent from the driver. A mistake is using blanket forms where a driver signs off on a form and it is copied and sent to all previous employers. 49 CFR 40.25 (d) — If feasible, you must obtain and review this information before the employee first performs safety-sensitive functions. If this is not feasible, you must obtain and review the information as soon as possible. However, you must not permit the employee to perform safety-sensitive functions after 30 days from the date on which the employee first performed safety-sensitive functions, unless you have obtained or made and documented a good faith effort to obtain this information. This means at least two or three documented attempts within the first 30 days of hire. Mike detailed many other requirements in qualifying new DOT drivers and listed numerous traps and pitfalls. The cattle truck driver who crashed on Highway 126 on Tuesday, resulting in the deaths of more than a dozen cows, was speeding when he failed to negotiate a curve, authorities said Wednesday. He was cited for failing to drive within a lane, state police said. According to court records, he has had a number of driving violations during the last decade. He twice was convicted of speeding in 2011, which resulted in the state Department of Motor Vehicles suspending his license. In August, a man filed a claim against . . . him and his employer (at the time), alleging damages when he was hit by their truck. The lawsuit seeks at least $100,000. The truck with trailer turned onto its side after shearing a tree and striking a power pole, trapping and killing a number of cattle in Tuesday’s crash. A crew had to remove downed power lines at the crash scene. Why anyone would hire a driver with a bad driving record, a previous license suspension, and who brought grief to himself and his previous employer? Did the driver lie about his driving history or withhold information? Did the cattle hauler (yes – this was a cattle-hauler, livestock hauling is their specialty) properly vet the driver? Did they do a background check? Do they have hiring standards or a safety program in place? I have the utmost respect for cattle-haulers. It’s a tough and thankless job and requires a lot of driving skill and finesse. A cattle-hauler has to be a very good driver, a really special person. But a tougher job is that of the first responders that have to clean up the messes that — in many cases — should have never happened. Many first-responders are volunteers. They only want to help their communities. But they are the ones who have to deal with the carnage, broken bodies, and the many horrors and aftermaths of the bad drivers and employers who made bad choices. We can do better than this . . . We have to. Half of any task is planning and organization. Chris Vernon, who recently returned from a deployment to Afghanistan as an Engineer Company Commander, took some of his organizational skills from his business and military experiences to form the Progressive Reporting Agency. Progressive Reporting Agency is a DOT compliance service bureau based in Midvale, UT, dedicated to helping companies with DOT regulated trucks and drivers. 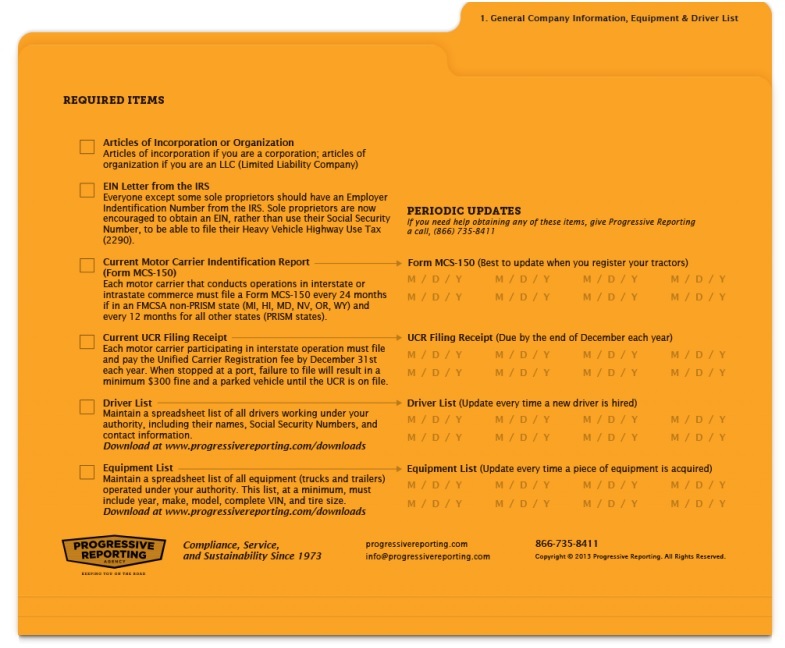 One of their products is an Audit Assistance Package consisting of a series of nine folders. Each folder has a checklist printed on the jacket as to what the folder must contain. Additional forms are available for download. Over the years in visiting and talking to transportation business owners or their staff, I have seen literally an “all or nothing” attitude with their DOT paperwork. Getting organized is the first step to getting it done. It’s not only the DOT that may want to see your files and paperwork. Insurance companies also have a right to inspect your files as well . . .
History repeats itself, goes the old saying. One history every employer with drivers needs to study is their drivers’ driving history, both at the time of hire and during the annual review. This history is contained in a driver’s “abstract” or motor vehicle record (MVR). TIP: Review the MVR first to find out if their driving history is acceptable. Not every employer investigates their drivers MVRs. Sometimes the employer believes this step is not necessary because they feel they know the driver or that having proof of a license is proof enough they can drive. But in not doing so, employers are ignoring a good driver management tool. A driver with one accident is 2 times as likely to have a future accident. A driver with two accidents is 2.3 times as likely to have a future accident. A driver with three accidents is 3.2 times as likely to have a future accident. A driver with four accidents is 4 times as likely to have a future accident. A driver with one conviction is 1.7 times as likely to have a future accident. A driver with two convictions is 2.2 times as likely to have a future accident. A driver with three convictions is 2.6 times as likely to have a future accident. A driver with four convictions is 3.1 times as likely to have a future accident. Having a commercial driver license (which is mostly held by high-mileage professional drivers). Frequency of accidents/traffic citations is more significant than their severity. A recent history of of accidents/traffic citations is more significant than an older history. Was the driver terminated or did he resign? Open alcohol in a vehicle. Objective organizational guidelines, policies and procedures should be put in place for both hiring and retention. If your organization has only one driver, you should have these guidelines, policies and procedures in place. In the current economic climate insurance companies are putting a greater emphasis on underwriting (quality control) and loss control (accident and risk avoidance). Often, in my experience, employers are stumped when they are asked how many accidents or traffic convictions a driver may have and be hired or kept as a driver. Not giving the matter much consideration could result in higher insurance premiums. In addition to hiring considerations, an MVR can indicate if a driver is in need of counseling or coaching, additional training, or does not meet your standards. Click here for more information on the Pre-employment Screening Program (PSP). 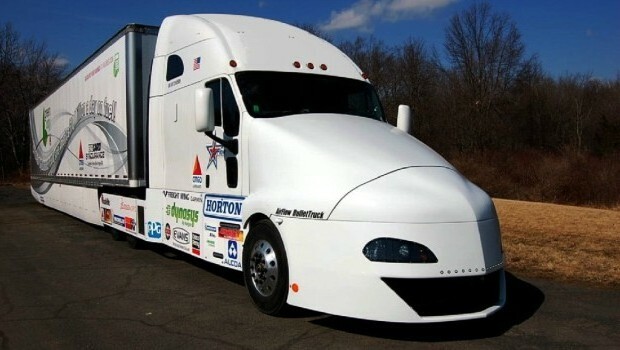 A large Indiana-based trucking firm was fined $200,000 by the U.S. Equal Employment Opportunity Commission (EEOC) for its driver medical policies according to Crain Communications’ Business Insurance. One error was having drivers undergo a DOT medical exam before making a *conditional offer of employment — a violation of the Americans with Disabilities Act (ADA). 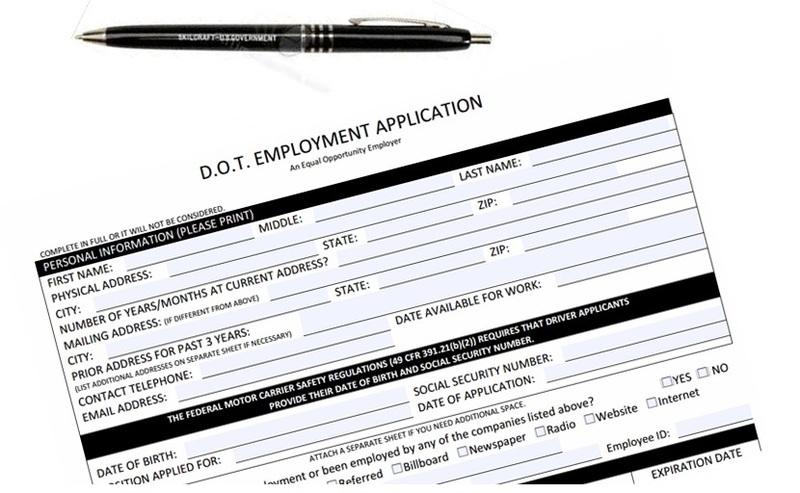 When should an organization employing DOT regulated drivers make a conditional offer of employment? 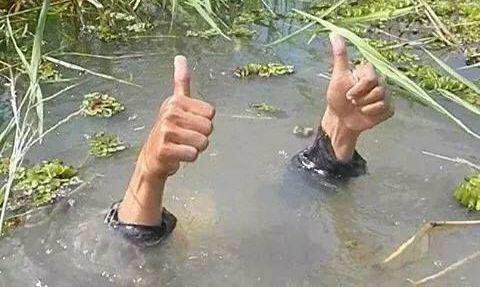 before making a conditional job offer. 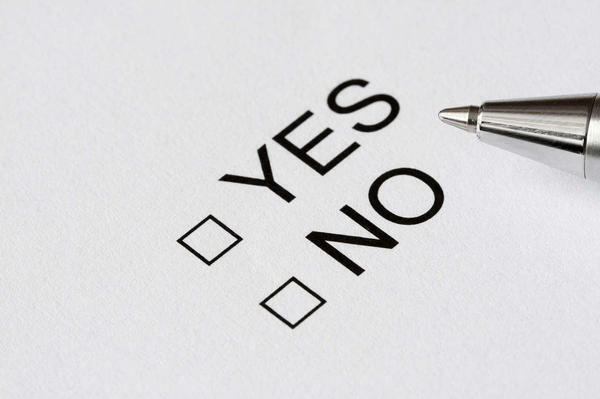 Once a conditional job offer is made, a candidate can then be asked to undergo a DOT physical or medical examination. A second error by this carrier was asking disability-related questions before a conditional job offer was made. Once a conditional job offer is made, Federal law permits medically-related inquiries of drivers, if the questions are (1.) job-related, and (2.) consistent with business-related necessity. . . .if a job applicant volunteers such information, the interviewer is not permitted to pursue inquiries about the nature of the medical condition or disability. Instead, the interview should be refocused so that emphasis is on the ability of the applicant to perform the job, not on the disability. Motor carriers should also be cautious of any broad medical-clearance policies as: a requirement to notify the company of any contact with medical professionals, or deploying overly broad medical-release forms. It is unlawful under the ADA to ask drivers questions about medical conditions and/or a disability before a conditional job offer is made. Steer clear of this topic in a pre-hire interview. Medical records of all applicants and employees must be kept separate from all other personnel information. Keep any employee medical records in a secure area (under lock and key) with limited access. Be sure to review your policies, procedures and company manuals to comply with the ADA requirements. To learn more, see The DOT Safety Audit Guide. Mike Coffey, SPHR, will give a one hour presentation on DOT Driver Qualifications and Background Checks. The Federal Motor Carrier Safety Regulations list requirements for employers regulated by the federal Department of Transportation. In this presentation, Mike will discuss the FMCSR’s requirements for the DOT application and employment background check process. Here are some highlights of today’s JJ Keller webcast on Driver Qualification (DQ) Files, in case you missed it. The DQ file assists in vetting drivers. It is legal proof of compliance. An incomplete DQ file is a DOT violation and that file will always be in violation if it is missing required documents or information. The corrective action should show meaningful action to offer a solution by showing safety management controls are now in place to avoid the same mistake. All CMV drivers in interstate commerce are subject to having DQ Files. Drivers in intrastate commerce must follow their state rules, which vary from state to state. Keep DQ files at your primary place of business. Records must be made available with in 48 hours of DOT request. Records can be off-site, but you must be able to access them. DQ file can combined with the personnel file, but you need to be able to separate the documents. The DOT Drug and Alcohol file must be secured in a controlled access location. Copies and scans are okay, but must be clear and readable when printed out. Keep files until end of employment plus at least 3 years. Donald Jerrell of HNi recently posted a blog about driver DOT medical cards (certification). Jan. 30, 2014: This is the effective date (now passed) that commercial drivers must submit their medical certificate to their state Department of Motor Vehicles. Jan. 30, 2015: Interstate commercial drivers must keep copies of their medical examiner’s certifications with them in their vehicle until this date. May 21, 2014: As of this date, all drivers must get medical certification from a health care pro listed in the National Registry of Certified Medical Examiners. Drivers only can get medical certification from a certified medical examiner who’s on the National Registry. The state DMV syncs its records of who’s a certified medical pro with the registry. (9) A note relating to verification of medical examiner listing on the National Registry of Certified Medical Examiners required by §391.23(m).